Inside this helpful guide, accomplished artist Diane Cardaci guides readers through several shortcuts to drawing realistically — from projecting and using the grid method to utilizing a computer. A step-by-step project accompanies each drawing technique, so readers can test out the methods firsthand. The book also features an in-depth section on troubleshooting, teaching readers effective ways to grapple with the most common problems a beginner encounters, such as drawing accurate proportions and values. Drawing Made Easy: Shortcuts & Artists' Secrets teaches an array of drawing shortcuts for aspiring artists who don't have time for traditional approaches to art. This book also provides drawing techniques and tips for avoiding common errors, and features simple steps and line-drawing templates for each project, so you can easily follow along. 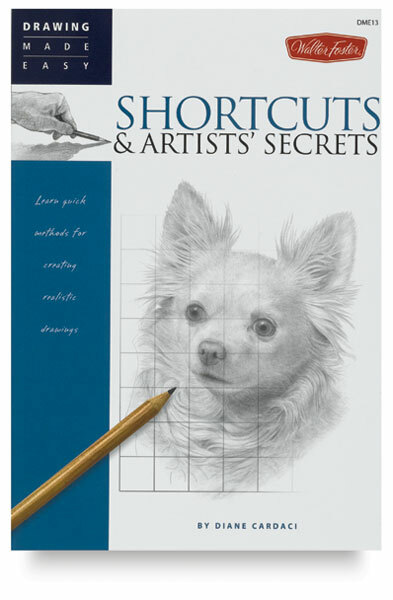 Filled with all sorts of drawing tips and shortcuts that help artists draw realistic people, animals, and still lifes, this book is a "must have" for anyone who wants to learn how to draw.